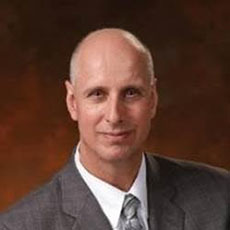 Mr. Marrazzo has over 34 years of domestic and international experience in the design, oversight, and assessment of corporate and regulatory compliance, Bank Secrecy Act (BSA)/Anti-Money Laundering (AML), economic sanctions/OFAC, anti-bribery/anti-corruption and fraud programs, and related internal controls. Mr. Marrazzo possesses a thorough knowledge of executive and operating functions and responsibilities within public companies and the financial services industry, including consumer and commercial banking, investment banking, insurance, and wealth management. Mr. Marrazzo is also Chief Compliance and Ethics Officer for Treliant. Over the span of his career, Ross has held senior leadership positions in a regulatory compliance capacity with a wide range of financial institutions as chief compliance officer and global compliance audit executive. These included Citigroup, the Depository Trust & Clearing Corp., and GE Capital. Ross began his career working as an examiner at the New York State Bureau of Investor Protection and Securities.